It seems it’s finally official. 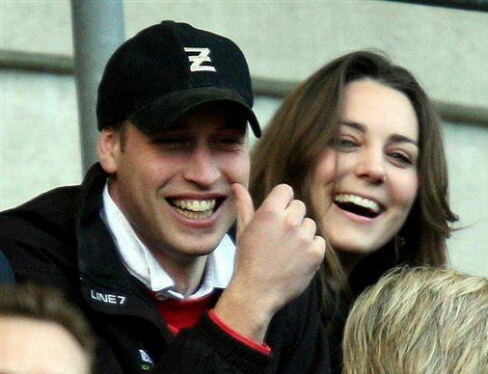 After seven years of speculation about their future, Prince William announced his engagement to Kate Middleton. The couple plan to get married next spring or summer in a ceremony that will attract one of the biggest worldwide TV audiences since the Prince of Wales married Lady Diana Spencer in 1981. As the couple dis closed that they had secretly become engaged during a romantic break in Kenya last month, Middleton showed off the sapphire and diamond ring which the Prince had hidden in his rucksack until he proposed. Sources close to the Royal family said the engagement ring, is the same one given to Diana, Princess of Wales by the Prince of Wales when they became engaged in February 1981. Middleton said: “We have been going out for a long time now and … it just seemed the natural step for both of us”. Details of the wedding will be disclosed in due time.